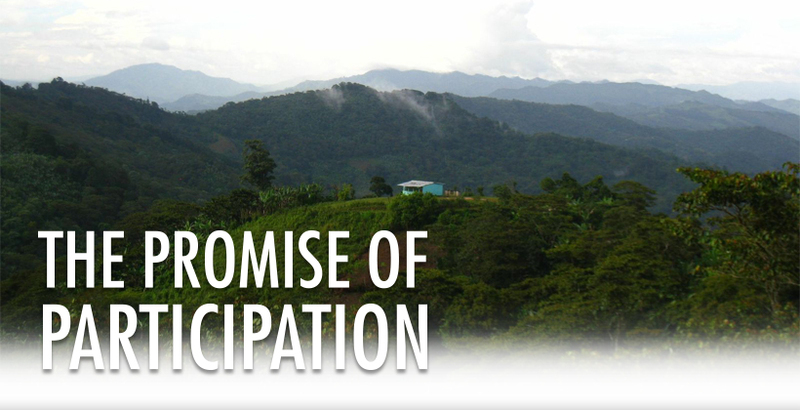 Welcome to the website of our new book, The Promise of Participation: Experiments in Participatory Governance in Honduras and Guatemala (2014). This is one of the most extensive studies ever on the effects of participatory governance. Political scientists have long wondered whether civic participation can have spillover effects—that is, whether civic participation in one particular domain of public life can lead to more participation in other areas. This book argues that participation can indeed be generative. Participation in development projects can lead citizens, regardless of how poor they are, to develop capacities for new and deeper forms of civic engagement. We also uncover features of program design, local context, and national political problems that inhibit spillovers from having a broader impact on civil society.